Ice Skating at Skyline Park: The Downtown Denver Rink offers one of the best winter Denver activities for free! The Skyline Park rink is free if you own your own skates and only $6-$8 for a rental. On Friday and Saturday night, you can enjoy music from a live DJ. Saturday mornings feature complimentary skating lessons, and Sunday you can bring the entire family for family-friendly entertainment. Free First Saturdays at the Denver Art Museum: Do you want to spend some time indoors? The Denver Art Museum is an architectural marvel filled with interesting art pieces. The gallery boasts an internationally-renowned collection of American Indian art, as well as other art from around the world. Every first Saturday of the month, you can get free admission to this gorgeous museum. Free Walking Tours in Downtown Denver: If you’re new in town, Denver Free Walking Tours offers free tours every day that leave from Civic Center Park. The walking tours weave through the downtown area and include stops at over a dozen landmarks and businesses in downtown. S. Mint Tour: Want to see how money is made? The U.S. Mint makes over 50 million coins every day, every one of which is stamped with a small “D” to represent Denver. Free daily tours show all of the steps involved in making coins, without you needing to pay a single cent! 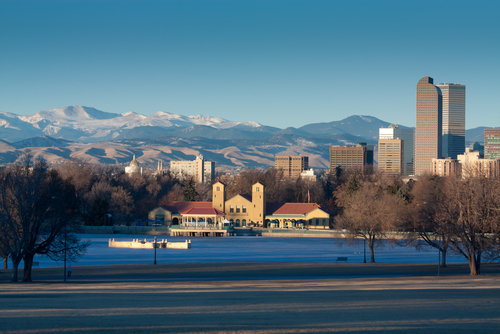 A Trip on the Denver Beer Trail: For a winter Denver activity that warms you up while you’re enjoying time with your partner or friends, the Denver Beer Trail is perfect. The Trail is filled with a number of the top microbreweries, and you can follow a suggested route or pick your own choices from the list of featured breweries.